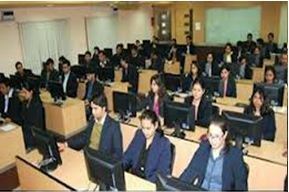 Bharati Vidyapeeth Institute of Management (BVIM) was started with the vision of advancement in information technology and management for production of IT experts for capable management. The mission is to contribute for philosophy and mission that is to bring transformation socially through dynamic education. The goal of the institute is to impart quality education in management field with curriculum designed by the university. The aim of the institute is to bridge the gap between academia and industry to produce management experts. The institute provides support and guidance to the students to improve their profession and career and achieve their goals. The students are provided with ambient atmosphere for achieving academic excellence and to promote consultancy and research in Information Technology and Management. NCC/CAFETERIA/ Volleyball / Football, Wi-Fi connectivity. The institute has a big library which has nearly 1114 national journals, 501 international journals and 300000 books in a total area of 2600 sq.ft. 100% assistance for winter, summer and final placement of postgraduate students. The performance is reviewed every 5 years to re-plan the perspective. The aim is to pursue dynamic education to achieve social transformation. The assistant professor looks after the placement cell and provides 100% counselling and assistance for the students. The placement cell has nearly more than 1000 alumni who are working in national and international reputed companies. ICICI Bank, HDFC Bank, Syntel Ltd., YES Bank, India.Com Ltd., Bajaj Alliance Ltd. The institute provides the students with undergraduate and postgraduate courses in computer applications and management fields like BBA, BCA, MBA and MCA. how much exact fee for bca fy to ty??? The fees structure of BCA is 60000, which is of 3 years full time. how can addmision of bca is done in march without 12th result? Here it is mandatory that you must and should have completed and should have passed your 10th and 12th examination or its equivalent of any board which is recognized. Or you can go for the seat booking if you are really interested with the college. *So it is compulsory that you should have passed your 12th. And the counseling starts in the month of July. want to know date of addmision of bca of 2018 . exact month or date plzzzz? The admission for Bharati Vidyapeeth Institute of Management, Kolhapur will be generally held in the month of May-July and the counseling also starts in the month of July. Here the candidates who are applying to Bharati Vidyapeeth Institute Of Management for the UG program have to pass 10th and 12th examination or its equivalent of any board which is recognized. Write Your Reviews on "Bharati Vidyapeeth Institute Of Management, Kolhapur"
Are you Interested inBharati Vidyapeeth Institute Of Management, Kolhapur"? Please provide the following details. Ask Question on "Bharati Vidyapeeth Institute Of Management, Kolhapur"?